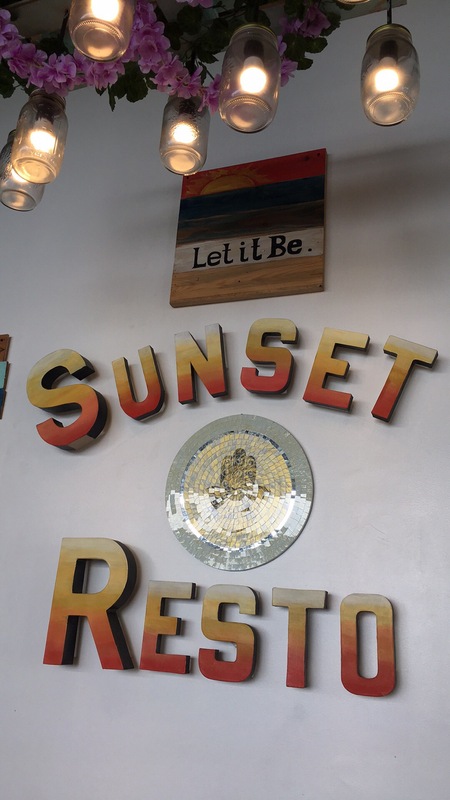 Sunset Resto, SM Baguio City – HaY! Society. 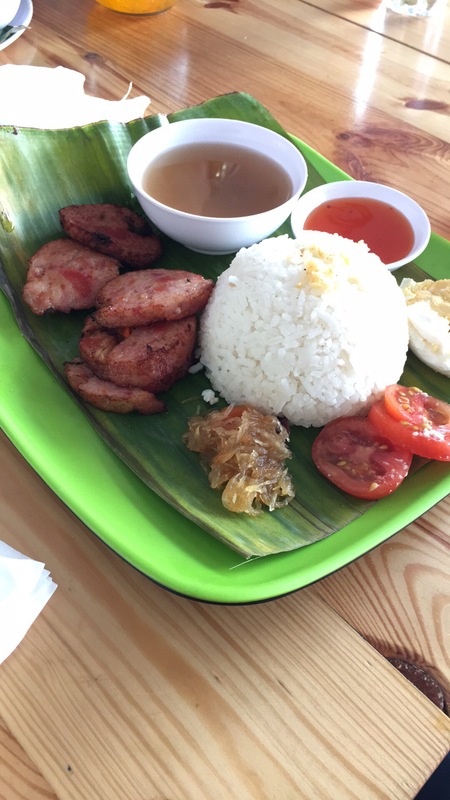 Being a resident of Baguio, I realized that I don’t have to leave the comfort of my hometown to experience a resto that will give me an ambiance of being in a lowland resort. The set up gives you a feeling na parang nasa tabing dagat ka at anytime ay may papasok na mga taong naka pang swimming. 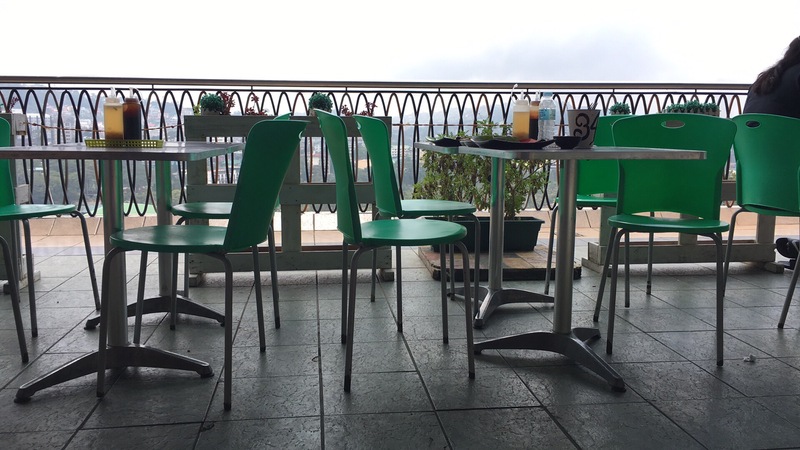 Sunset Resto is located at the 3rd floor of SM Baguio City. They offer a lot of choices with an easy-on-the-pocket price which will leave you with more budget for shopping if you are in SM for that. 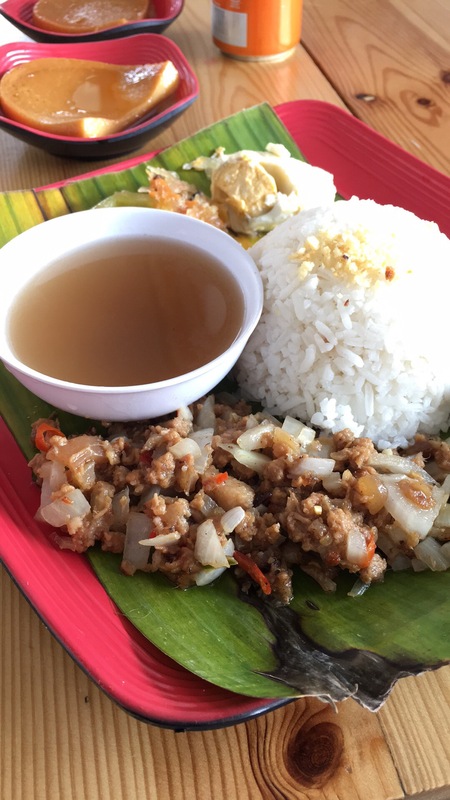 Pork Sisig @ 99, serving is okay if you are not that hungry. 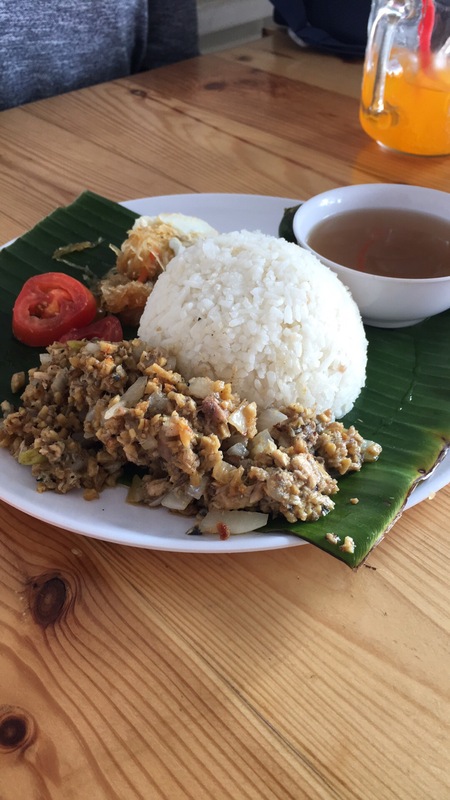 That probably explains the choice of getting a Double Sisig @ P159.00. 🙂 It comes with sliced red egg, tomatoes, and achara. Embutido @ P99, just like the first two meals that we ordered, it comes with their standard rice, sliced red egg, slices of tomato, and achara. Magaan sa bulsa, di ba? At ang nakakatuwa, nang i-serve na ang food, ang sabi ng waiter: “Enjoy your life!”. Natahimik ako at inisip kung may halong pagbabanta ba iyon or he just wished us well or it is part of their script. Hehe. 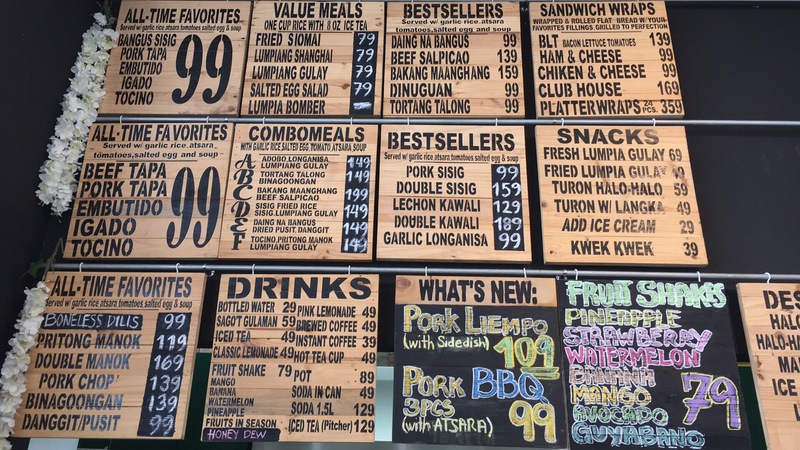 Kung bakasyonista ka, habang kumakain ka sa labas ay tanaw mo ang magandang tanawin ng Baguio. 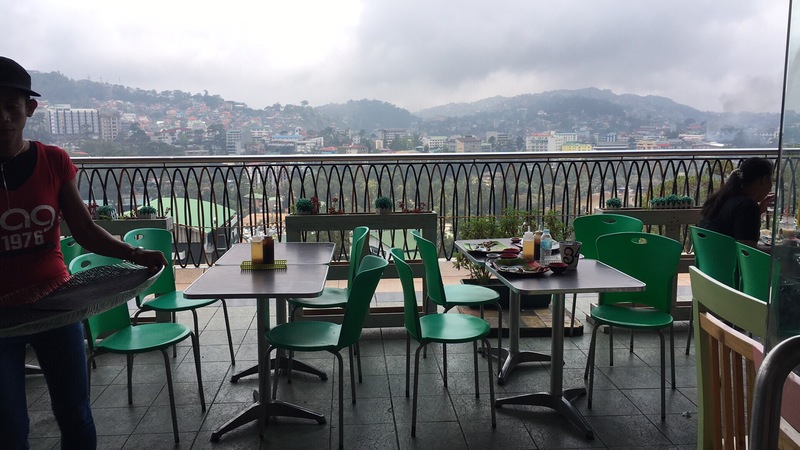 Very strategic ang location kung gusto mong maramdaman ang kumukurot na ginaw ng Baguio, sa bandang veranda ka umupo. So if you are on a budget and have a family or barkada to treat, ito na un kapatid! 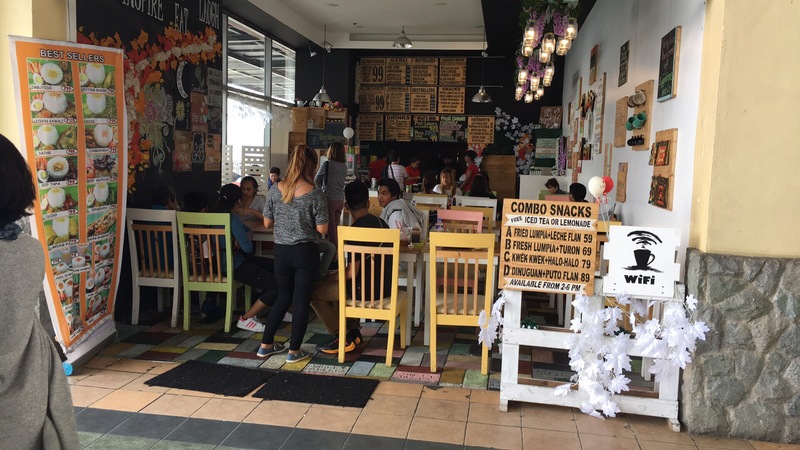 Affordable dining without compromising your alta status. Haha.